Info: With Manual. VG Condition: A few light marks to the disc. Item Information. item 3 Ghostbusters The Video Game - XBOX 360 Game - NTSC Also Plays On UK Consoles. 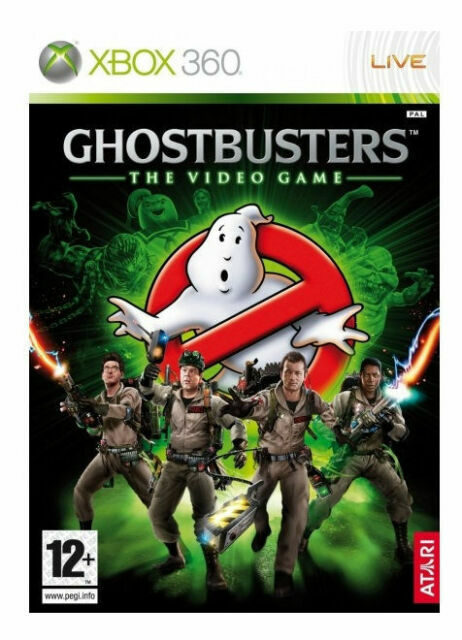 -Ghostbusters The Video Game - XBOX 360 Game - NTSC Also Plays On UK Consoles. item 5 Ghostbusters The Video Game for Xbox 360 "FREE P&P" -Ghostbusters The Video Game for Xbox 360 "FREE P&P"
item 6 ***Ghostbusters: The Video Game for Xbox 360*** NTSC Region Free COMPLETE!!! -***Ghostbusters: The Video Game for Xbox 360*** NTSC Region Free COMPLETE!!! If there is something strange in your neighborhood, get the Ghostbusters: The Video Game Microsoft Xbox 360 game. That’s right: the 1984 comedy classic has now come to life, featuring loads of new environments and your favorite Ghostbuster characters. Packed with Shock Blasts, traditional guns, and gruesome ghost traps, this action video game keeps it fun and entertaining. Besides this, with challenging missions, pesky poltergeists, and competitive boss fights, this action video game features a thrilling yet rewarding gameplay. Additionally Ghostbusters: The Video Game features a multiplayer mode, making it a lot more competitive. What’s more is that Ghostbusters: The Video Game features voices from the movie’s actual star cast including actors like Dan Aykroyd, Bill Murray, Harold Ramis, and Ernie Hudson, making it a lot more realistic. Moreover, this Microsoft Xbox 360 game boasts great visuals, and varied environments to give you an exhilarating gaming experience.